Your Eye Inside . . .
You found the home for Hawkeye® Precision Borescopes on-line shopping. Gradient Lens Corporation® (GLC) manufactures Hawkeye Precision Borescopes using our innovative and patented endoGRINS relay technology. Don't be mislead by others claiming their borescopes can provide similar value to the Hawkeye line. With over 30,000 Hawkeye Precision Borescopes shipped and thousands of satisfied customers, we are confident you will be pleased. Hawkeye Borescopes purchased from GLC come with a 30 day no questions asked return policy for any product returned in original condition and packaging. GLC's patented endoGRINS optical design allows Hawkeye Pro and Classic Precision Borescopes to deliver superb image quality. The ultimate test of a borescope is your ability to see what you need to see. Our patented endoGRINS gradient index relay lens is the heart of our Hawkeye Pro and Classic borescopes. EndoGRINS relays replace complex, expensive systems of tiny conventional lenses saving you money without sacrificing quality. GLC stocks over 50 models of rigid and flexible borescopes, to meet your specific needs. We deliver all of our Pro and Classic borescopes FAST from stock. We repair any of our Hawkeye Pro or Classic borescopes and return them to you within a week. If the borescope is not repairable, we will give you a substantial discount on a replacement. Order on-line through this site or call one of our expert sales staff. They will help you choose the correct borescope model and lighting for your application. 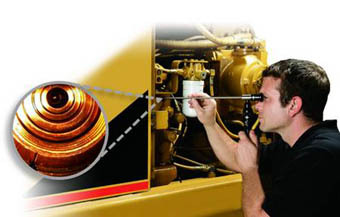 Send us your part and we will find the best borescope to inspect it and email you sample images of your part. Call our Expert Sales Team to arrange a FREE demo inspection of your parts. Visit our main web site www.GradientLens.com to see our complete line of borescopes, borescope accessories, borescope video and borescope lighting products.